A three-year turnaround in the operations and culture at U.S. Xpress Enterprises helped the Chattanooga, Tenn., trucking firm raise more than $250 million in an initial stock offering in June and deliver its best operating ratio in two decades this spring. U.S. Xpress ranks No. 21 on the Transport Topics Top 100 list of the largest North American for-hire carriers. Buoyed by the improving economy and an improved balance sheet, U.S. Xpress said Aug. 3 its second-quarter operating income jumped from $2.7 million last year to $20 million this year. Operating revenue rose 21.4% to $449.8 million in the three months ended June 30. In its first quarterly earnings report since its June 14 public stock offering, U.S. Xpress said it expects to continue to benefit from improving freight demand in the balance of 2018. During an investment call with industry analysts, Fuller said the new management team at U.S. Xpress began in 2015 a transformation of the trucking giant, which was founded by his father, Max, and partner Pat Quinn in 1985. As CEO, the younger Fuller said 61 of the top 94 executives had been replaced and clearer performance targets were set across the company. 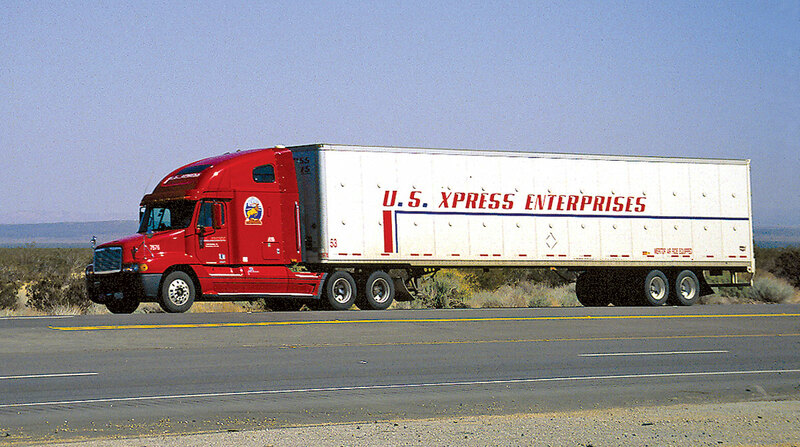 U.S. Xpress grew into the nation’s fifth-biggest trucking company in America— and the youngest to achieve more than $1 billion in revenue — after 28 business acquisitions and through above-average internal growth. Fuller said the new management team is stressing a culture of cost management and working to continue to raise driver retention. To retain more drivers, pay for over-the-road drivers is up 15% in the past year. Despite signs of improvement, shares of U.S. Xpress have declined since the initial public offering in June. Since the company’s stock closed on its first day of trading on June 14 at $16.68 per share, U.S. Xpress shares have declined by $3.20 per share, or 19.2%, to close Aug. 2 ahead of the second-quarter earnings results at $13.48 per share.